Getting sick isn’t fun. I caught a cold, and this one has been sucking the energy out of me. That’s also a reason this is a day late. So, here’s what’s been happening in the past week. I’m now at 50% in Theft of Swords by Michael J. Sullivan, having finished The Crown Conspiracy, which is book one of the series. On my main channel, I had a very slow week, having uploaded only one video. But it was a world building video, so it’s pretty significant. On my science channel, I uploaded two videos, one of which is dedicated to a single science topic. I’m updating this regularly now, though I need to make sure I don’t fall behind. Nothing in the past week. Nothing special happening, though thanks to my cold, I haven’t been very motivated. I just want to sleep! I need to work on some videos over the next two days. I should be getting a couple science videos done and several booktube videos recorded. 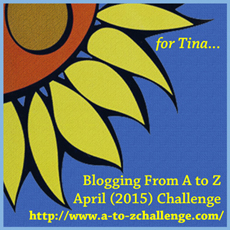 I’ll also be preparing for the A to Z Blog Challenge, getting my topics all ready. There’s a bit of planning to do for this one. Science has begun! I’m also getting the hang of using Filmora to edit videos. I like it, but my computer isn’t powerful enough to do all my editing with it. I can cut clips, but the video becomes accelerated around the cuts. It looks weird. I still use Windows Movie Maker for that, then use Filmora for overlays and picture in picture. It’s working out fine for now. I’m now at 39% in Theft of Swords by Michael J. Sullivan. I’m making pretty good progress now. I’m hoping to get to around 50% this week. On my main channel, I uploaded 3 new videos. I missed one because I was too busy. My science channel now has 3 videos! It’s still right at the beginning, so the following is pretty small. I’m expecting a couple videos this week. Completely updated. It now has all new reward levels and information. I don’t expect much for a bit, at least not until I have a lot of good quality videos and more subscribers. I made it to 2,000 views in February! So, the streak continues. Hoping for a better month in March. I have an uncertain week. I know what my schedule is, but things can change. However, I do plan on having a few videos in the second half of the week. Also, blogging will continue as always. I’m a day late! It’s been a very busy long weekend, and I was just tired last night. This week will continue to be busy, as will next week. So much going on offline at the moment. But let’s find out what’s happened in the past week. There’s been some progress in Theft of Swords by Michael J. Sullivan. I’m now at 13% in the book. So far, I’m enjoying it. I haven’t done any, but I have been pretty busy. A lot of things have happened. I started the new World Building series on my main channel, and I’ve been using new thumbnails! I’m going to continue using them. I like the clean style, and they look a lot bolder. I uploaded 5 videos, and I’ve been working on a few other videos that’ll be up this week. This includes the channel trailer for my main channel and the channel trailer and intro videos for my science channel. I don’t think I’ll be recording any new videos until next Sunday, though. I have a busy week. I’m updating it! I’ll be shifting Patreon over to my science channel, as that channel will require more advanced editing and better equipment. The quality may not be great at first, but as the patrons increase, I’ll be able to buy new equipment and more. I actually studied French a little! Nothing really exceptional in the past week. Authors Answer continues with its story summary challenge, though. It’ll be a bit quiet, as there’s a lot going on offline at the moment. I’ll upload a total of three videos, I think. They’re the ones I mentioned above. I’m also going to focus on getting the Patreon page completely set up and prepared before uploading my first science channel videos.